The countdown is on and every second matters in this flash sale checkout flow. 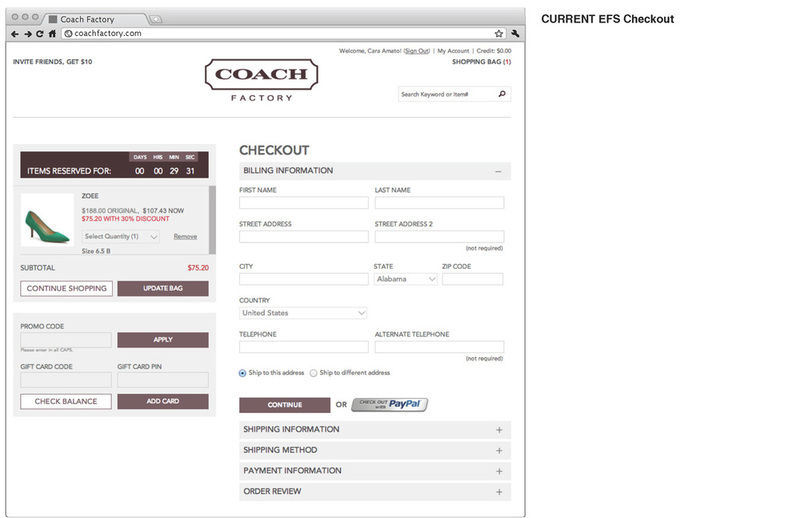 Senior experience architect and designer for checkout redesign on Coach Factory website, mobile and desktop. Created wireframes and flow for experience and managed user testing prior to design rollout. Lead user testing and research prior to launch. 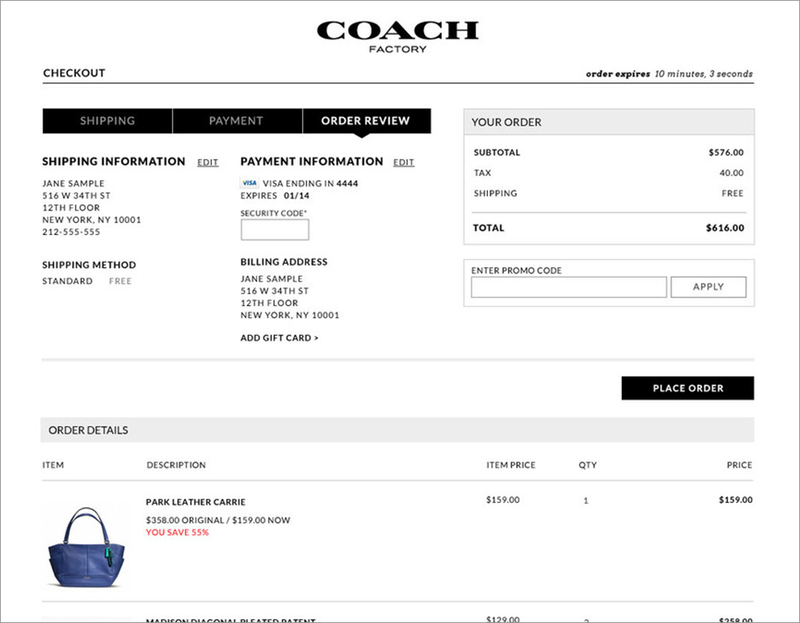 See it on coachfactory.com, a members-only flash sale site. 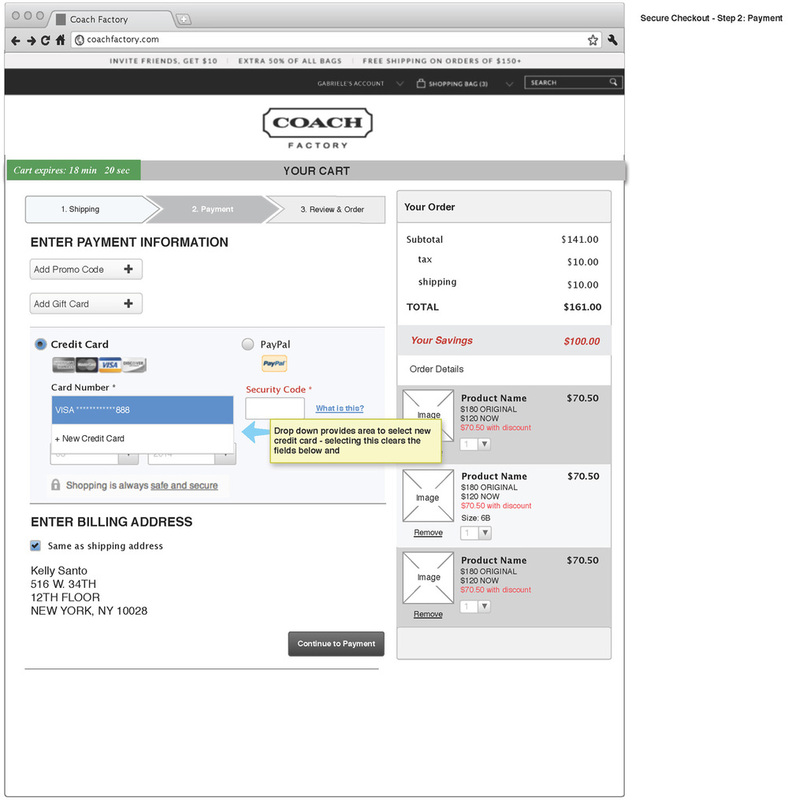 We were able to improve conversion by 30% by re-ordering the checkout steps to follow online retail best practices and streamlining the display of information. Inventory in a flash sale moves fast. 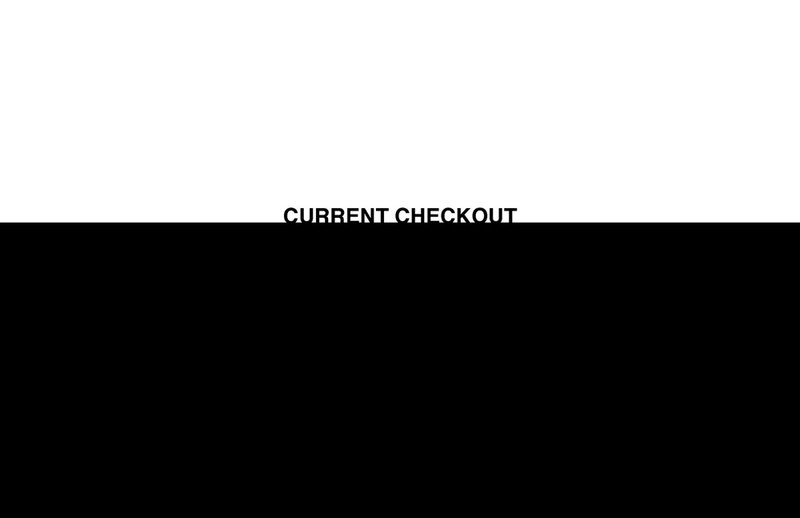 Additionally, the items in a user's cart is only held for 10 minutes. 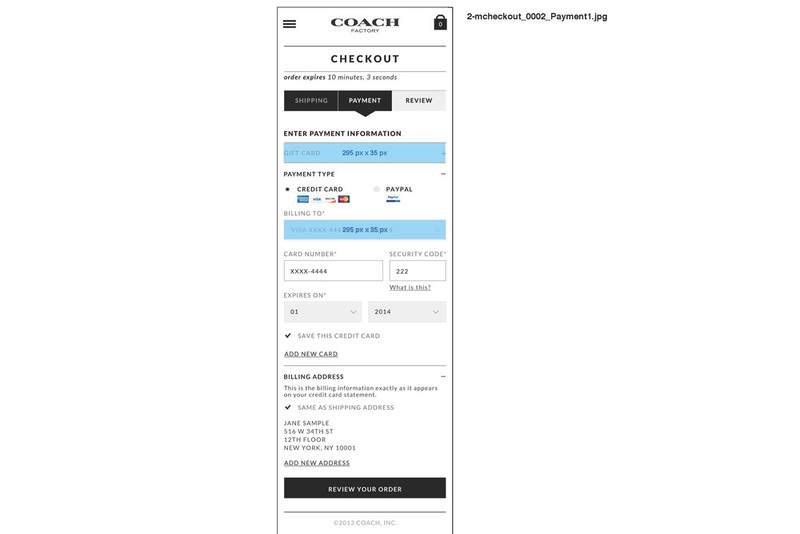 By reducing the steps required to complete checkout and creating a persistent order button on mobile, the new experience lends itself to promote impulse buying. 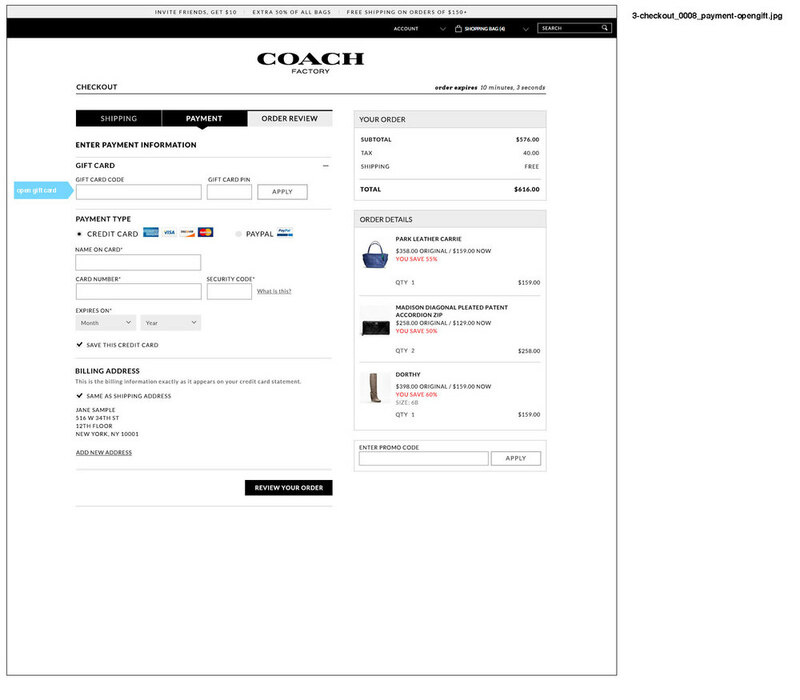 Partnered with art direction team to establish the overall look and feel and then applied this to all additional screens throughout checkout and created detailed requirements annotations.